Here's an interesting exercise submitted by Andy Dear, a Sexylooper enthusiast in San Antonio, Texas. This dynamic, demanding game requires great control of the line in the air and a very consistent casting stroke. As an exercise, it combines all the ingredients that we look for at Sexyloops: practical, original and fun. Six hoops and little flags numbered from one to six to identify them (not essential). To practice accuracy, changing directions in all angles, shortening the line in the air and shooting line. 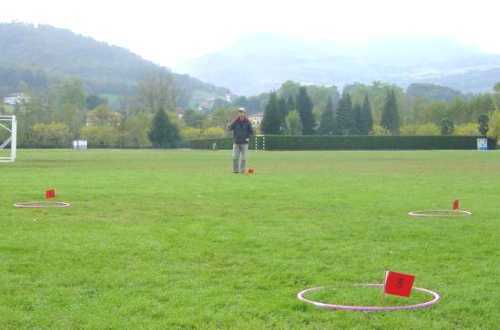 Scatter the six hoops on the ground at a variety of distances from each other. Stand in hoop 1. With a maximum of two false casts per hoop, land the tag in the other five hoops in numerical order. Then do the same standing in hoop 2. Then hoops 3, 4, 5 and 6. 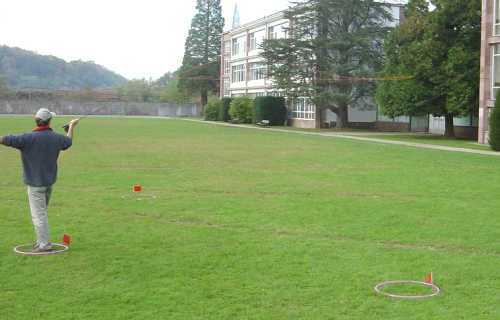 - You can use the drift to reposition the rod and aim at the next hoop. - You can let the line down in back of you. 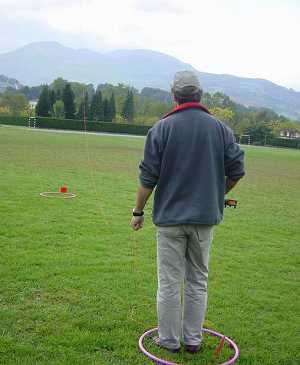 - You can use slack line casts to shorten the line length. - Increase the distance between hoops. - Try different casts, curves, hooks...,with and without hauling.